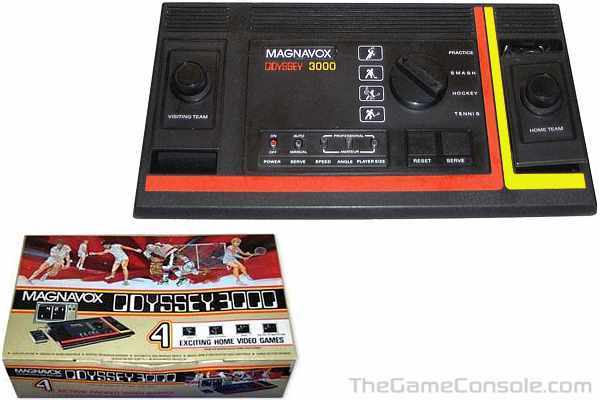 The Magnavox Odyssey 3000 is another example of the Odyssey line for 1977. It is similar to the 2000 offering the same games in a newly styled, more modern case. The Odyssey 3000 also featured detachable controllers which allowed more freedom when playing. This was not a feature on the Odyssey 2000 model. Magnavox lead the PONG craze with its Odyssey line of consoles. In three years, the technology had completely changed the PONG universe.